To play, photograph and review the best golf courses in the nation. 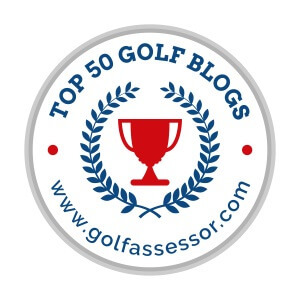 In my “Course Reviews” section I have dozens of unbelievable golf courses reviewed, and I want to expand that to make my site the preeminent destination for other golf addicts who want to see what to expect from our country’s highest rated tracks. I am motivated by “Experiences” – I need things to look forward to, and love the conversations, and sometimes the debates that come along with them. Why is one course higher than another? What makes an incredible golf course? I want to uncover all of that and share it with my readers! Bunker shot from the fairway trap Zach Johnson hit his shot to two feet from to win the playoff at the 2012 John Deer Classic at TPC Deere Run – Zach taught us how to hit this shot and I got way closer to the pin with the same club than him! February golf at RTJ Golf Trail at Ross Bridge in Hoover, AL – my first RTJ course experience and it was a good one! 7/7/2017: The birth of our first child and the next WiscoGolfAddict, Charlie! Hey Paul, wondering if you had recommendations for a Dells trip. We are coming from the west side of MSP. We usually have a group of 16 guys and go to Brainerd or farther up north to Giant’s Ridge/Wilderness. We are thinking of Wild Rock and Trapper’s Turn for sure. Want to add one more course to that list. Preferably 30 mins or less away from Dells. Suggestions? Andrew I’m sorry I didn’t see this earlier! Have you already made the trip to the Dells? If not, find a way to get to Sand Valley – it’s just over an hour from Wild Rock, but if you’re in “the area” you’ll be mad at yourself if you don’t take advantage of the opportunity. Otherwise, the Castle Course at Northern Bay is always a really fun course. I’m actually playing Sand Valley on Friday and Northern Bay on Saturday this weekend for a bachelor party. Can’t wait. Either way, let me know your thoughts on the courses – it’s always great hearing others’ opinions. Thanks for reaching out, and again sorry I missed this! Hey Paul, Jerry Wolf here (playing partner from Kiawah Ocean). My friend was at an Arco gas station out here in California filling up and saw a video ad of us at Kiawah. Do you know anything about it? How could I see this or get a copy? Let me know. I have enjoyed reading your blog! Keep hittin’ me straight! Tell Kelly hello!